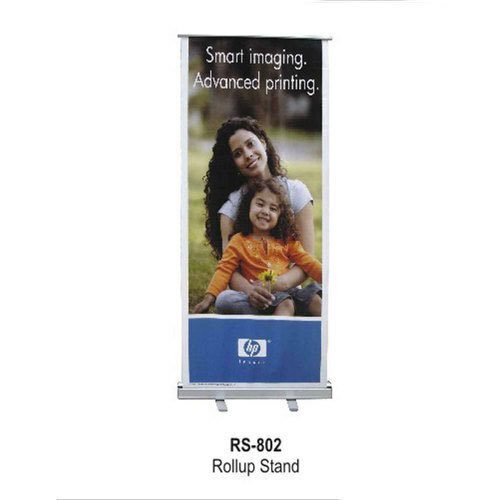 In order to keep pace with the never-ending demands of customers, we are involved in offering a wide range of Roll Up Banner Stand. “Informers” is enthusiastically engrossed in this business of manufacturing, since 1996. Our corporation is a sole proprietorship owned entity which is headquartered at Hyderabad, Telangana. The assortment of products in which we deal includes Sign Board, LED Signage, LED Sign Board, Advertising Banner, Demo Tent, Advertising Table, Display Stand and Banner Stand. To develop our products as per the set industry norms and standards, we have sustained an enormously advanced workplace. For a flawless and productive working environment, we have partitioned our workplace into several productive units.